Civil Administration approves validation papers for homes slated to be destroyed - but will it be enough? The situation regarding a series of planned demolitions in the Binyamin (Samaria) community of Beit El is looking up Wednesday, after the Civil Administration decided to approve the publication of the homes affected for the validation process. The approval is not yet final, and is still awaiting approval from the political echelon. Without the necessary signatures, the Civil Administration approval becomes moot. 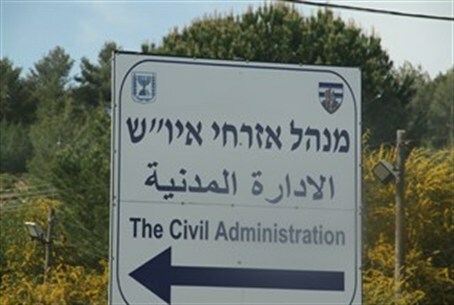 If the final approval to legalize the project is made prior to the demolition date, residents of Beit El will file an appeal to the High Court for Justice, seeking a postponement of the planned demolition until the validation process can be completed. Once that appeal is filed, the High Court will be forced to make a decision on whether to stand behind its ruling to destroy the project. Agriculture Minister Uri Ariel (Jewish Home) welcomed the move. "This is an important decision that will allow the High Court to reconsider its decision and thus prevent the demolition of existing houses," he said. Yesha Council Chairman Avi Roeh, and Beit El mayor Shay Alon, were somewhat less positive. "The planning [and building] freeze continues," they said, in a joint statement. "Today the Supreme Planning Council gave out approval, [but] this is a failed attempt to deceive the public and to hide the embarrassing fact that [Prime Minister Binyamin] Netanyahu is strangling the settlement movement." "Almost all of these approvals relate to homes which have already been built and are populated," they continued. "We demand that the government stop the freeze and meet its obligations today to approve the plan to build 300 new housing units in Beit El as he [Netanyahu - ed.] promised during the destruction of the Ulpana neighborhood."